Rapid developments in brain-machine interfacing and neuroprosthetics are revolutionising the way we treat paralysed people, but the same technologies could eventually be put to more generalised use — a development that’ll turn many of us into veritable cyborgs. Before we get to that point, however, we’ll need to make sure these neural devices are safe, secure, and as hacker-proof as possible. In anticipation of our cyborg future, researchers from the Wyss Centre for Bio and Neuroengineering in Geneva, Switzerland have published a new Policy Forum paper in Science titled, “Help, hope, and hype: Ethical dimensions of neuroprosthetics.” The intent of the authors is to raise awareness of this new breed of neurotechnologies, and the various ways they can be abused. Importantly, the researchers come up with some ways to mitigate potential problems before they arise. No doubt, work in neurotech is proceeding apace. Researchers are developing brain-machine interfaces (BMIs) that are enabling quadriplegics to regain use of their hands and fingers, amputees to move prosthetic limbs by simply using their thoughts, and patients with degenerative diseases to spell out messages with their minds. Incredibly, paraplegics wearing robotic exosuits can now kick soccer balls, and monkeys have started to control wheelchairs with their mind. Brain-to-brain communication interfaces (BBIs) are allowing gamers to control the movements of other players and play a game of 20 questions without uttering a word. With each passing breakthrough, we’re learning a little bit more about the brain and how it works. Most importantly, these tools are giving agency and independence back to amputees and paralysed individuals. But there’s also a dark side to these technologies. 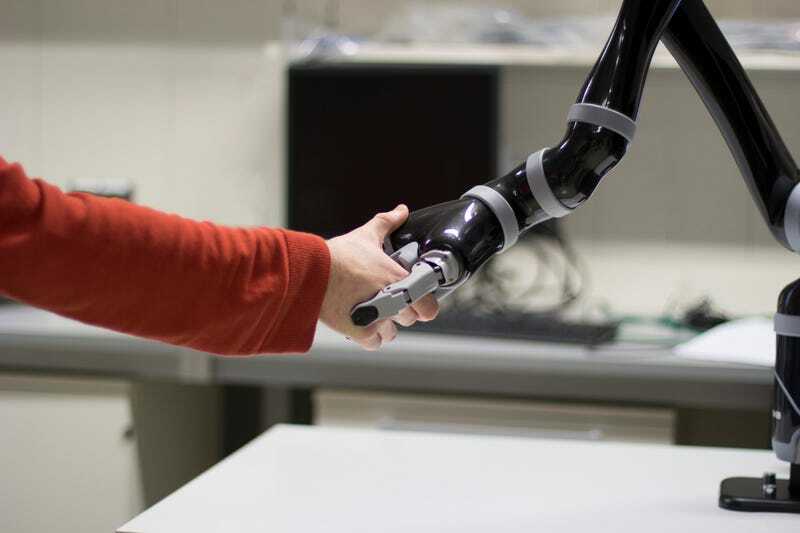 As Wyss Centre Director John Donoghue points out in the new Policy Forum, serious ethical issues are emerging around this field, and it’s not too early to start thinking about ways in which neuroprosthetics and brain-machine interfaces might be abused. The Wyss Centre is concerned that, as these neuro-devices increasingly enter into our worlds, the uses for these tools will increase in power and scope. Currently, BMIs are being used to pick up cups or type words on a screen, but eventually these devices could be used by an emergency worker to fix a dangerous gas leak, or a mother to pick up her crying baby. Should something go wrong in these cases—like the gas worker’s semi-autonomous robot turning the wrong crank, or the mother dropping the baby — it’s important to ask where accountability begins and ends, and who’s to blame. Future laws will have to discern whether the manufacturer is responsible (e.g. a bug or glitch in the design) or the user (e.g. deliberate misuse or tampering with the product’s intended design). To mitigate these problems, the authors propose that any semi-autonomous system should include a form of “veto control,” — that is, an emergency stop that can be executed by the user to overcome deficiencies in the direct brain-machine interaction. If a prosthetic limb or remote-controlled started to do something the user didn’t intend, this kill switch would put an immediate halt to activities. Other areas of concern include security and privacy, and the eventual need to protect any sensitive biological data that’s recorded by these systems. When BMIs are up-and-running, they collect a trove of neurological data, which is transmitted to a computer. This naturally poses privacy concerns, and the Wyss Centre researchers are worried that this information could be stolen and misused. Frighteningly, the Wyss researchers also worry about someone hacking into a brain-connected device —an act that could literally threaten the life of the user. Known as “brainjacking,” it would involve the malicious manipulation of brain implants. Hackers could go in and control a person’s movements. Possible solutions to these problems include data encryption, information hiding, network security, and open communication between manufacturers and users. It’ll be a challenge to implement many of these proposed measures, however, due to the lack of consistent standards across countries. But as the Wyss researchers point out, now’s an excellent time to start thinking about ways to improve coordination and industry standards. He adds that the concerns about BMIs and semi-autonomous robots are an interesting variation on questions currently being raised about robots — questions that “very smart lawyers will likely make fortunes sorting out,” he said. As to the proposed prescriptions, Kepier said most make sense, but in his view, a few are downright silly. “The authors say we should ‘encourage improved health literacy and neuro-literacy in the broader society’,” he said, “Give me a break.” Kepier is sceptical that the public will find any interest in these rather heady and arcane areas of inquiry. Indeed, the Wyss researchers are bringing up an important issue. Eventually, many of these technologies will spread their way into the mainstream, serving as enabling devices for those who are not disabled. 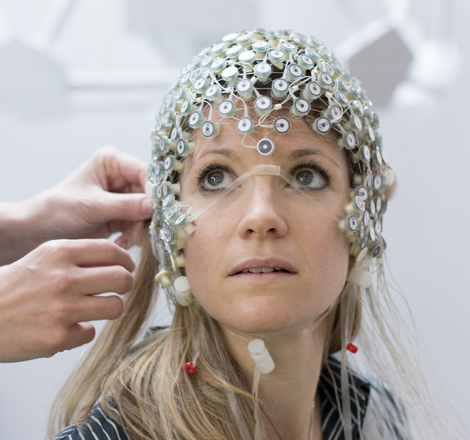 Noninvasive BMIs could be used to create a kind of telekinetic connection to our environment, where we use our thoughts to turn on the lights or change the channels on the television. Eventually, these same technologies might even result in technologically-enabled telepathy. As the Wyss researchers aptly point out, the potential for abuse is nontrivial — and we’d best start thinking about it now.